While clearly referring to Armenia’s dependence on Russia, Bolton’s statement left some ambiguity on the kind of resolution he had in mind and, taken together with the statement of the outgoing US Ambassador Richard Mills (about the need to surrender territories), were met with apprehension by both supporters and critics of the current administration in Yerevan. Things have taken another turn when the OSCE Minsk Group Co-Chairs (consisting of France, Russia, and the US) stressed “the necessity of taking concrete measures to prepare the populations for peace,” following the meeting they hosted between Foreign Minister of Azerbaijan Elmar Mammadyarov and Acting Foreign Minister of Armenia Zohrab Mnatsakanyan on January 16, 2019 in Paris. This week, on January 22, a 1.5-hour long informal meeting took place on the sidelines of the World Economic Forum in Davos, Switzerland, where the sides apparently discussed “the conflict settlement negotiations.” Not much detail has been disclosed about this meeting, with social media commentators in Armenia mostly expressing bewilderment about the lack of transparency from official Yerevan on such a key issue. Given the importance of this issue for Armenia and its worldwide Diaspora, this article takes stock of the official position of Armenia to date and lays out a strategy that is likely to lead to a lasting peace between the two neighbors and the region overall. The new administration in Yerevan that came to power following the “Velvet Revolution” in April-May 2018 and which won the December 2018 parliamentary elections has expressed its views on the matter with some regularity. The leader of the revolution, a 42-year old former newspaper editor and MP Nikol Pashinyan made it clear that no concessions are in the offing. There are several reasons underpinning this view and I will mention a few here. First, as a shrewd politician, Pashinyan knows too well he cannot go against the will of the people that propelled him to power 6 months ago. There is little, if any, public support for territorial concessions on Artsakh in Armenia, certainly not now, when few see any tangible economic result coming out of a peace deal with Azerbaijan. The mass popular backlash against the Serge Sargsyan regime following its handling of “the 4-day war” in April 2016, a large-scale attack by Azerbaijan army along the border of Artsakh, is a testament to that sentiment. Second, war appears to be inevitable, and making concessions now will not prevent conflict and might even encourage it as a sign of weakness. 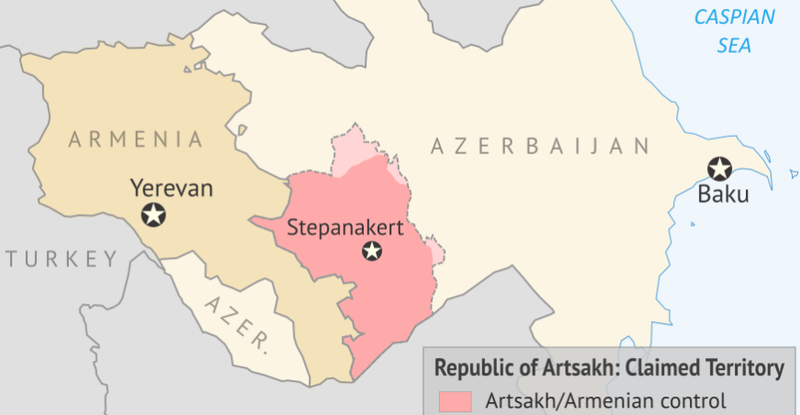 Armenian concessions in the form of return of territories outside of Artsakh’s Soviet-drawn borders (which will undoubtedly weaken Armenia’s defense positions) are unlikely to contain the Azeri appetite to regain Artsakh in its entirety, making whatever peace deal a temporary measure. 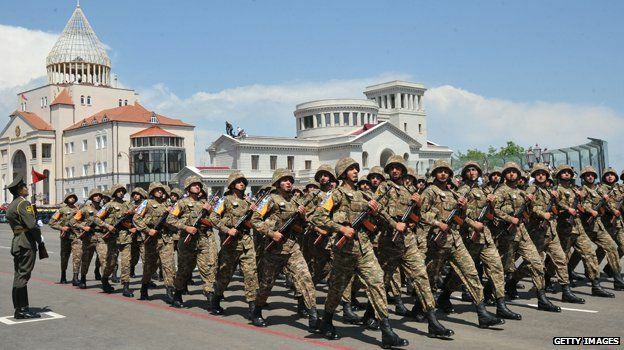 Emboldened by weaker defenses in Artsakh and shaken morale in Armenia (both as a result of concessions), Azerbaijan will likely attack again once it feels it has the capacity to retake Artsakh by force. Such a standoff, which is unlikely to result in a clear military victory by either side, will justify constant Russian involvement to play off both sides. Third, Azerbaijan is neither stable nor a democratic country and is ruled by an autocratic leader with an uncertain future. Making a deal with its leadership now will be temporary and difficult to enforce in the future (in case of a major political power shift in the country) and therefore should not be relied on by the Armenian side. This said, should Pashinyan (perhaps under pressure from Russia and/or other OSCE Minsk Co-Chairs) decide to make irreversible concessions in negotiations, he will be facing a fierce opposition on the ground, including from much of his own supporters. Among the political parties, the most vocal in its opposition to possible territorial concessions on Artsakh will be the newly created Sasna Tsrer party (or “Daredevils of Sassoon”, a name taken from a medieval Armenian epic poem that championed the idea of independence from the 8th to 10th centuries). Some members of the party took up arms against the corrupt regime of Serge Sargsyan in July 2016 and by doing so thwarted a pre-agreed handover of territories under Armenian control to Azerbaijan following the 4-day war in April 2016. With its Armenian nationalist orientation and strong support base among the Artsakh war generation from the 1990s, the pro-Western middle class, and Armenia’s regions, Sasna Tsrer see any move to surrender territory in Artsakh (including surrounding districts) as a non-starter. Although they did not garner enough votes to enter the parliament during the December 2018 elections, they are in a position to wage an effective popular campaign against any overly concessionary moves by the current administration. The Azerbaijani claims on Artsakh have serious weaknesses. Azerbaijan has declared itself a successor of the 1918-20 republic, which did not have full control over Artsakh, nor the Nakhichevan enclave. Moreover, the USSR’s Constitution allowed the autonomous oblasts to seek higher status (including independence), which Nagorno-Karabakh invoked in 1988. Anti-Armenian pogroms in Sumgait, Baku, and Kirovabad at the start of the conflict in 1988-1989 and fomented by the Azerbaijani leadership led to a consolidation of sentiment in Armenia and among Armenians worldwide, and this sentiment eventually contributed to the Azeri defeat after many Armenian sacrifices. That is the reality of the conflict that is still strongly engrained in the Armenian psyche, clearly not helped by Turkey’s (Armenia’s historic enemy and perpetrator of the Genocide of 1915-18) military assistance to Azerbaijan throughout the conflict and beyond. Armenian forces had been on the offensive weeks prior to the Bishkek Treaty of 1994 but stopped their advance under pressure from the mediators in the hope that this would create good will and establish the preconditions for a lasting peace. Unfortunately, there appears to be collective amnesia in Baku and among the current mediators about this period. Even within its current de facto borders (i.e., without the territories under Armenian control), Azerbaijan is structurally unstable and faces both internal as well as external threats. It holds itself together only with the help of outside assistance, where oil plays a key role. Once oil runs out, securing Azerbaijan within its current de facto borders will be challenging at best, given the existence of the centrifugal forces, such as its three large non-Azeri ethnic minorities. Azerbaijan presently maintains an aggressive foreign policy stance aimed at modernizing its army and undermining Armenia’s reputation and position abroad. Large-scale arms purchases from Russia and Israel are just some manifestations of Azerbaijan’s strategy to that end. This is done in parallel with constant attempts to penetrate the line of contact (causing Armenian casualties), the most outrageous of which was in April 2016, which led to minor territorial losses for Arstakh at a cost of significant personnel loses for the invading Azeri army. Time is on Armenia’s side. It is only a matter of time for the ongoing political reforms in Armenia to bring about an economic transformation, helping Armenia regain its economic potential, create even stronger and meaningful ties with its worldwide influential diaspora, and build an even stronger army, dashing Baku’s hopes of taking Artsakh by force. Waiting for Armenia to “come crawling” is, therefore, not a smart strategy for the Azeri leadership to follow. Azerbaijan’s international leverage will most likely decline in step with its hydrocarbon production. There will be a tipping point when its foreign partners will no longer find it beneficial to honor their side of the deal (of providing implicit guarantees for Azerbaijan’s sovereignty and internal stability). Azerbaijan’s main regional partner, Turkey, is facing economic and international problems that might reduce Azerbaijan’s ambitions. The Aliyev administration thus is unlikely to be able to return Artsakh to its former status by force. Any attempts to regain territory militarily is likely to be followed by Armenian offensives, likely to result in even bigger losses for Azerbaijan. Armenians around the world, emboldened by changes taking place in the country will likely oppose any territorial concessions. However, there is a solution that involves working around the status quo and building stronger economic and security ties. In pursuit of its own interests, Armenia could help secure Azerbaijan from disintegrating further. Providing Azerbaijan with insurance against internal and external threats should make the country’s leadership more amenable to a deal that involves Armenia retaining control over Artsakh in its current form, perhaps with minor territorial adjustments. To help the Azeri leadership save face at home, the solution could involve allowing the return of some Azeri refugees to their former homes and implementation of other confidence-building measures, to include the engagement of the international community. The Aliyev administration will therefore be well advised not to waste money funding its next war effort or geopolitical capital to befriend Russia, as these will weaken its economy and lead to further dependence on Russia, with little, if any, tangible results. Instead, Baku has a lot more to gain by signing a peace treaty with Armenia with its current status of Artsakh, which will be the first step toward creating a Transcaucasian economic market to include all three countries of the Caucasus, garnering their comparative advantages and greatly benefitting their own people. “The US Ambassador Richard Morningstar: ”Who Will Stand Up For Azerbaijan’s Independence?‘” Azadliq English Edition, May 19, 2014. This entry was posted in All listed by Author, Foreign policy, Gregory Aftandilian and tagged Artsakh, Daredevils of Sassoon, Nikol Pashinyan, NK Conflict. Bookmark the permalink.